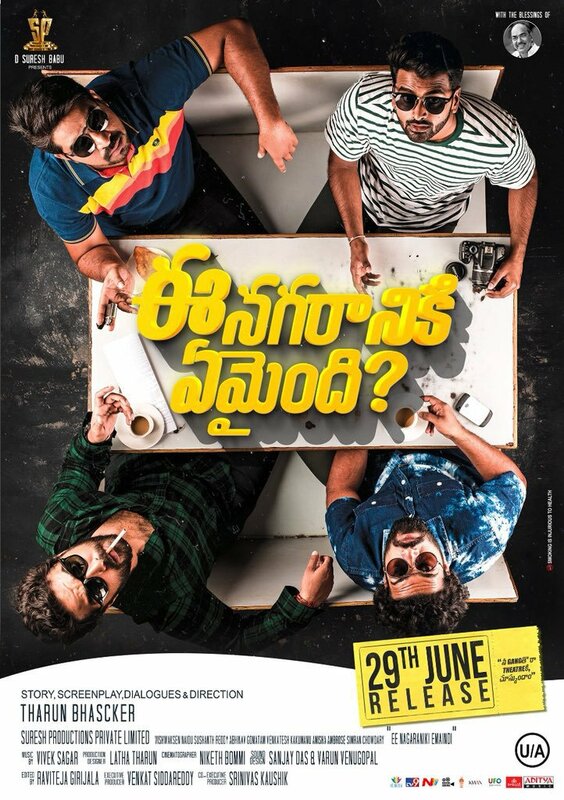 Tharun Bhascker Dhassyam who scored a big hit with his debut film Pelli Choopulu is all set for the release of his second movie Ee Nagaraniki Emaindhi. The makers held a pre-release event of the movie yesterday in Hyderabad. The film stars a bunch of newcomers in the lead roles. 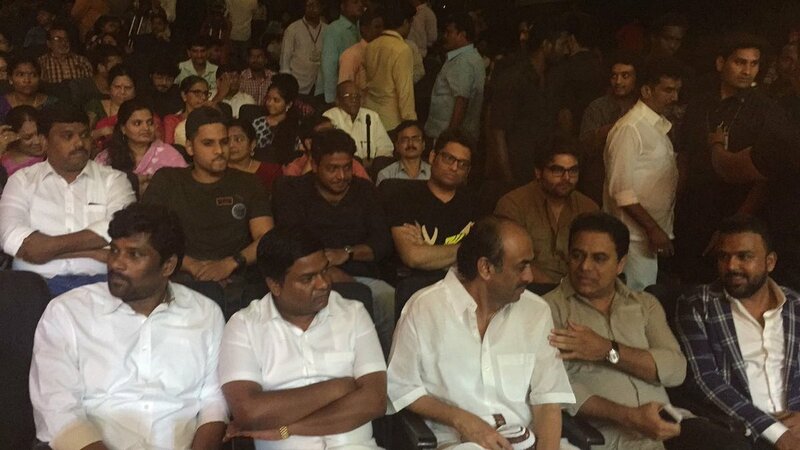 KTR, Rana Daggubati, and others have graced the event. The film unit wrapped up the censor formalities and the board has awarded U/A certificate for the movie. The buzz is that the youth will easily get connected to the movie. The film stars Vishwak Sen, Sushanth Reddy, Venkatesh Kakamanu, and Abhinav Gomatam, in the male leads. Simran Chowdary and Aneesha Ambrose played the female leads in the film. Vivek Sagar is the music director. Suresh Babu is the producer of the movie.